Great article on our favorite SF landmark. The other one. We've got some new version of your favorite Soma Handlebars. The Clarence and Odin Bars, now in Over sized 31.8. I've been riding the Clarence on my mountain bike for a couple weeks no and I'm sold. Yes, they do look a little goofy, but that's part of their charm. The extra sweep gives you a super ergonomic hand position and tons of leverage. The Odin is a more conventional flat bar option, but still boasts a generous amount of sweep to keep your wrists happy on those epic rides. Our Best selling Soma Oxford bars, now in polished black anodized. Now you can keep your ride murdered out and still run bar end shifters. Paul at Rock Lobster is something of a Veteran. 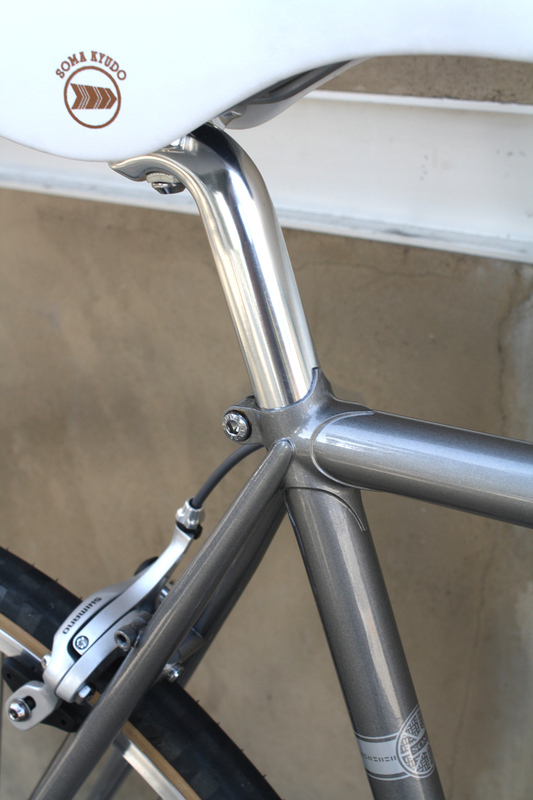 He's one of the relativity few builders who work in both aluminum and steel. 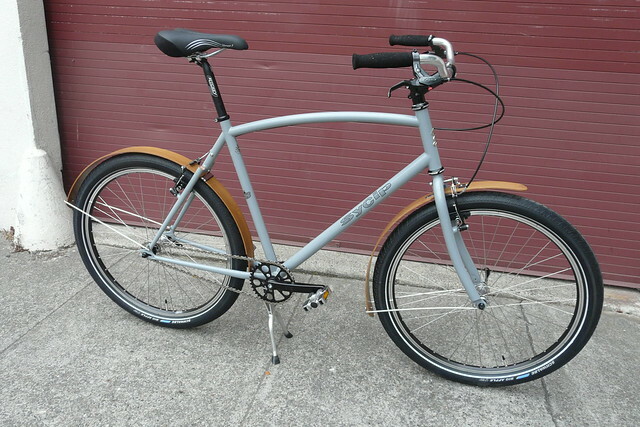 Dan Boxer is a relativity new builder, but since he came on the scene a few years ago he has produced one after another beautiful constructor style bikes; many for riders in Seattle where he works. In addition to building the Rene Herse reproduction bikes, Mike Kone also builds bikes under the Boulder Bicycle name. Check out some of his exquisite work. 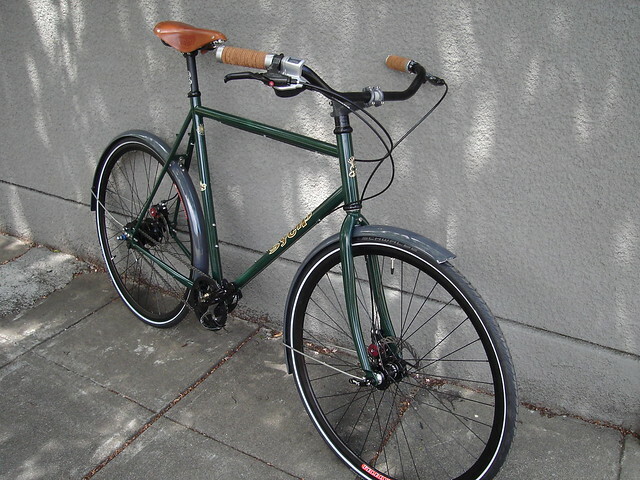 Our friends over at Hawley posted some sweet pic of John's well outfitted Soma Saga from Portland. 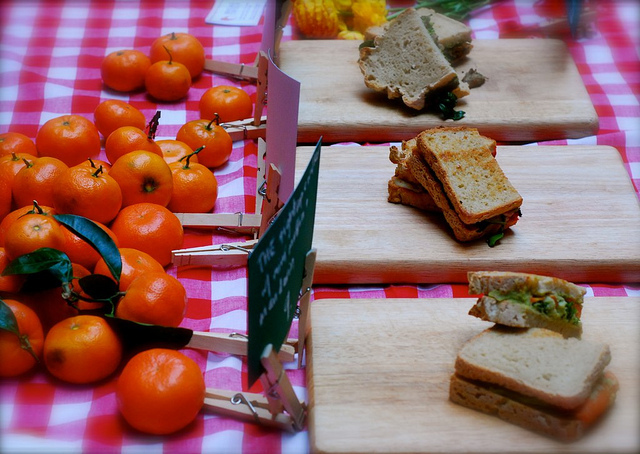 Check out the full post over at the Hawley blog. Our next stop on the tour of our favorite builders is Portland Oregon where Joseph Ahearne creates ridiculous steel sculptures, also called bikes. I've Joesph has been one of my favorite builders ever since I first saw his bikes back in 2006. 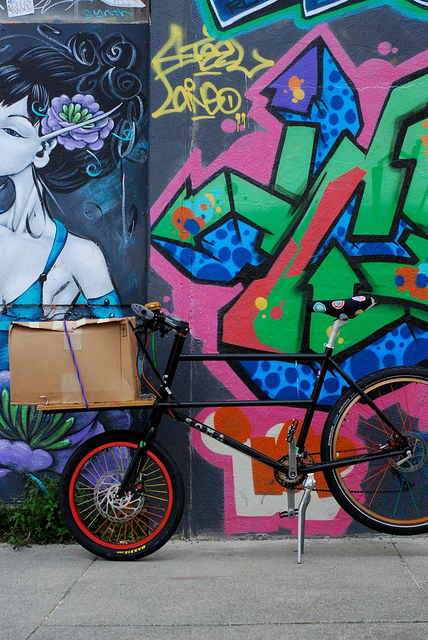 It's been said that we are in the middle of a Bicycle Renaissance in this country. 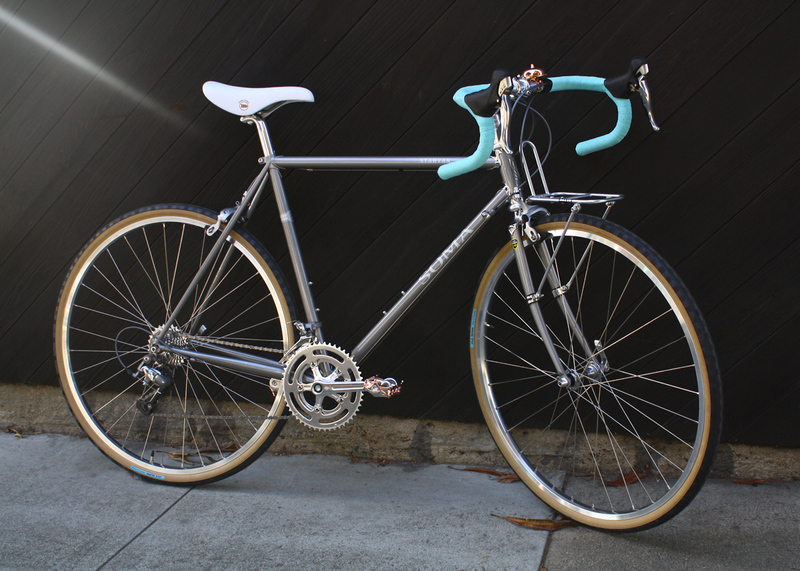 For the first time in 30 years there is significant interest in custom bicycles outside of racing. 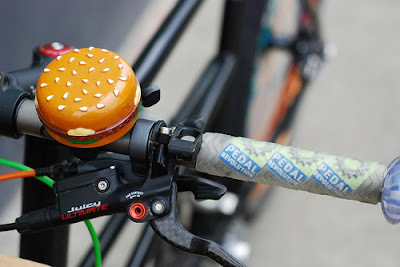 The last time there was this kind of innovation was at the advent of mountain biking back in the 70s and 80s. 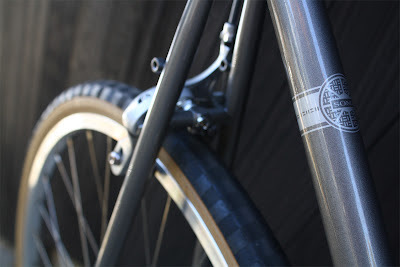 You might think as a one of the larger purveyor of semi-custom bicycles we would have it in for the small custom builders like these guys, but in fact it's quite the opposite. We value the small builders for their artistry and for the inspiration that they give us to produce better and more innovative products. 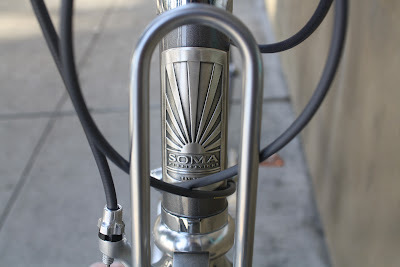 The average Soma customer is more likely to be knowledgeable (aka a geek) about bikes and have a very specific goal in mind when they are building their bikes. 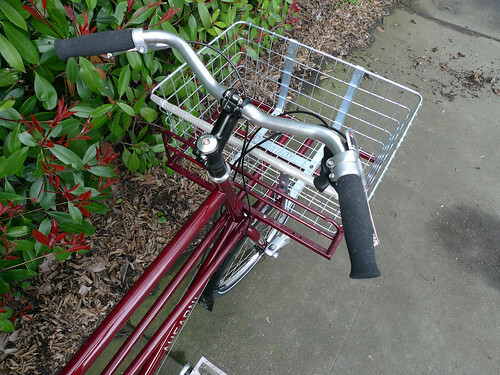 Some people might even call them picky, but we're the same way about our own bikes. So here's some inspiration, while you're plotting your next build. 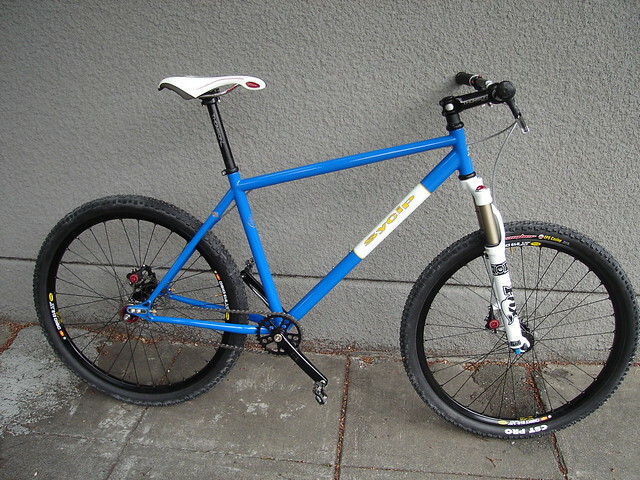 Based just north of San Francisco in Santa Rosa, Sycip has been pumping out gorgeous bikes for over 20 years. One of the perks of working at a big fancy bike company like Soma is you get to be the first to get your hands on exotic bike gear from places like Japan and Colorado. Here are two such specimens for your consideration. Part one is the fancy new King Cage toe clips. 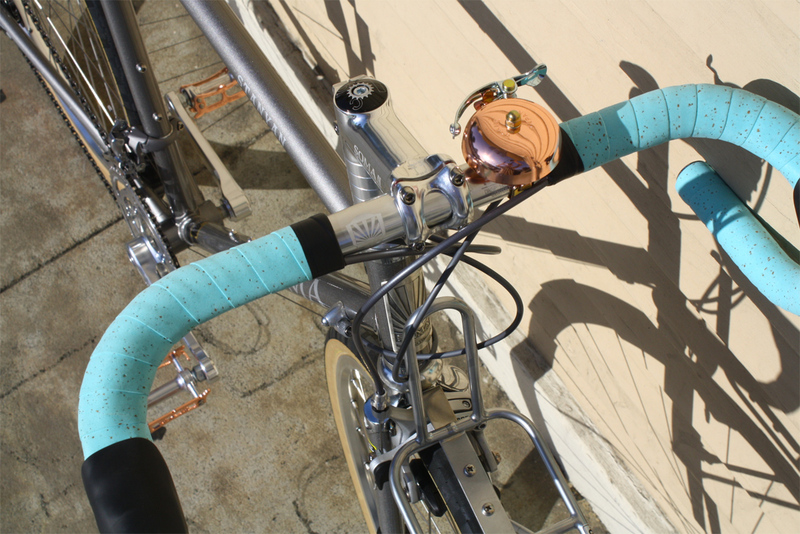 Handmade by the guy who makes the waterbottle cages found on custom bikes everywhere. Attached to these fine toe clips are the new MKS Urban Platform pedals. Designed to be more sneaker friendly than a track or road pedal, but smoother to get in and out of than a mountain bike pedal. Triple Sealed bearings feel smooth and keep the gunk out. The long flippy tab should be quite sturdy and won't break off like other designs. Cr-Mo spindles are good and sturdy and will install with a 15mm or a 5mm allen wrench. Get some. Cool checkerboard tread of the Jack Browns. Caught this while reading Velo Vogue. 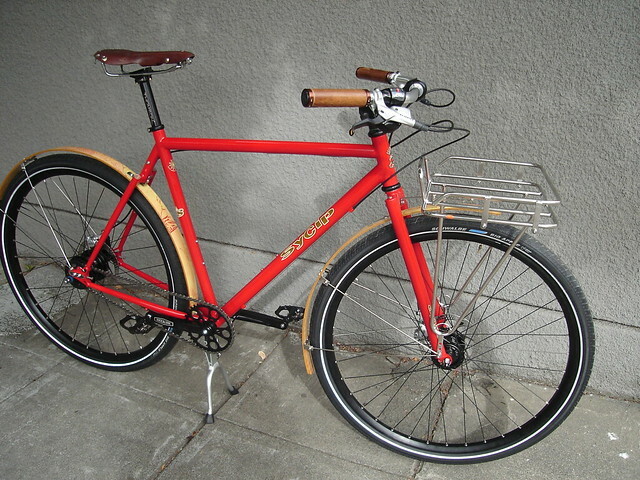 San Francisco non-profit bike shop Pedal Revolution has the grooviest Soma Tradesman built up at their shop --- and they sometimes lend it to Bread Srsly, local purveyors of seriously gluten-free bread. 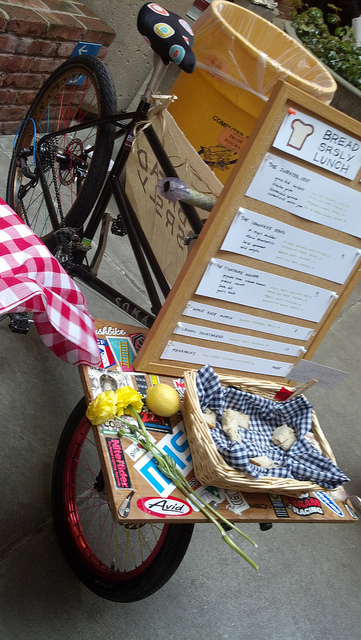 The duo who owns the "bread service" use bikes for their deliveries and for outdoor market days. Read more at Velo Vogue and Bread Srsly. Our good friends over at IRD sent over this prototype Cassette for us to look at. So of course we're going to spill the beans to you guys. Is this a product they should produce? This is the widest range 10 speed cassette I've ever seen. It's a 13-38. The first 5 cogs are chrome plated Cr-Mo. The 6 and 7 cogs sit on a separate aluminum spider. The 8 and 9 cogs are attached to another spider that is integrated with the 38t cog, which is alloy. This saves some weight and shouldn't affect durability since it won't incur very much wear. If they make these they will probably retail for around $150.00. 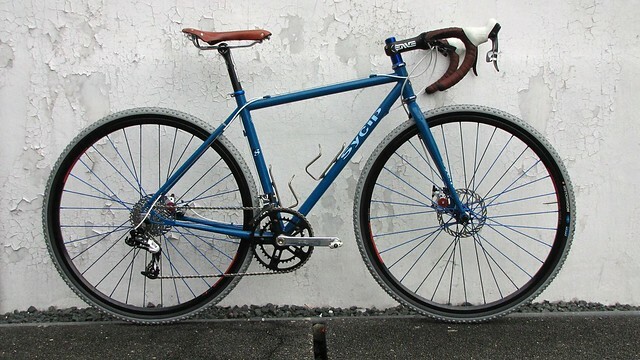 They should work with current Sram and Shimano 10 speed MTB drivetrains. They would also work with Shimano STI shifters mated to a 9spd Shimano MTB derailleur. 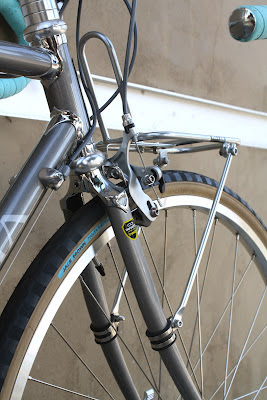 I believe that Sram MTB rear derailleurs mate up fine with the double tap shifters. Could be a real boon for 1-10 drivetrains. Could be good for tandems and heavily loaded touring bikes as well. So what do you think? Should we get some of these? For those of you who want to know the weight, you know who you are, shame on you. But we forgive you. It weighs in at just under 431 g. Happy now?